Video Marketing-Social Media Marketing- We do it all! GOOGLE LOCAL EXPERT-In short I have learned the Google search engine. And can promote you to first page as long as you have a website. I have been doing Computer work for over 20 years. I understand what It takes to get the job done right the first time.Why waste money on trying to figure out what works for your company and join the Thousands that are already reaping the benifits of all that Google has to offer! We offer a variety of services with a advanced approach on Internet marketing. We are a hands on agency that does all the Internet marketing in house we do not outsource to other countrys. Located In the heart of Michigan a proud United States based agency. 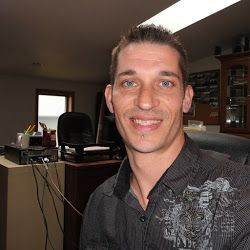 I live in St Johns Michigan But Service anywhere in the USA and Internatinal Clients. Do you have a product or service and need a better online visability.. That requires a unique call of action and plan. Having a custom campaign created will give you greater leverage on internet marketing and reach key demographs that are needed to gain that new customer. By using some of the methods below you can easily determin what is suitable for your buisness. SEO - Search engine optimization is a process on your web site that audits the content on the front and back side of your site and optimizes the code for better search rankings, Thier is a few variables that consist to a well ranking web site. SEM - Search engine marketing promotes your website by increasing visibility on search engine results pages through optimization and advertising (paid or non); by increasing visibility,and traffic to your site will gain you more phone calls and web traffic leading to more sales. GOOGLE LOCAL LISTINGS - Google's local listings are basically white page listings for your business, they list your web address, phone number, hours and any other information you would like to include. Blackwell Management can list your business as well as insert key words so yours will be the first business shown in a local search result. 81% of searchers research online before buying in a 10-20 mile radius. We are Compliant to all Google updates for 2015 and 2016 upcoming year!